Nearly 37,000 new airplanes worth US$5.2 trillion – that’s what Boeing expects the world will need over the next 20 years. The American aircraft manufacturer released its annual Current Market Outlook in London ahead of next week’s Farnborough International Airshow. 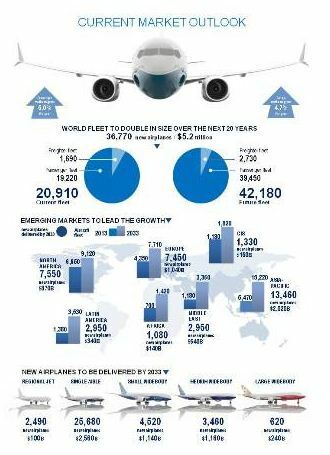 It projects a demand for 36,770 new aircraft, an increase of 4.2 per cent from last year’s forecast. “This market is strong and resilient,” said Randy Tinseth of Boeing Commercial Airplanes. The single-aisle market is projected to be the fastest growing segment because of the continued emergence of low-cost carriers. Boeing said 25,680 new airplanes will be needed in this segment, making up 70 per cent of the total units in the forecast. “Based on the overwhelming amount of orders and deliveries, we see the heart of the single-aisle market in the 160-seat range,” said Tinseth. In the twin-aisle segment, Boeing forecasts that 8,600 new airplanes will be needed. That will be led by small widebody airplanes in the 200 to 300 seat range such as the 787-8 and 787-9 Dreamliner, the company said. 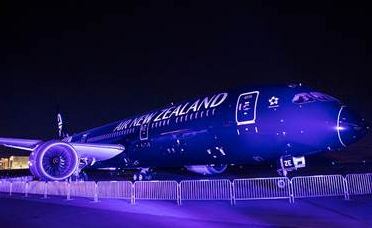 Boeing will showcase its new 787-9 Dreamliner, the first of which was delivered to Air New Zealand this week, at the Farnborough Airshow, which opens Monday. Airbus, the European manufacturer, will bring its new A350 XWB.